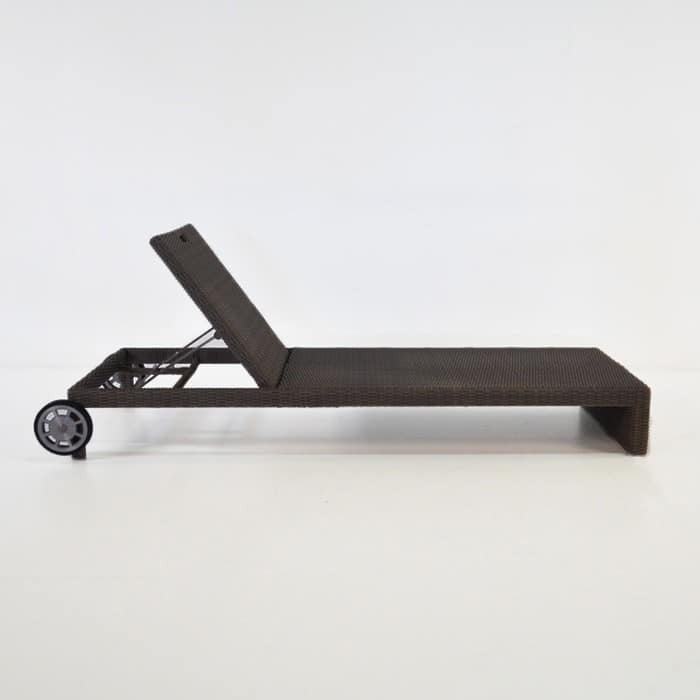 Minimalist, without sacrificing on comfort, the Rocco offers a surprising versatility for such a simple design. 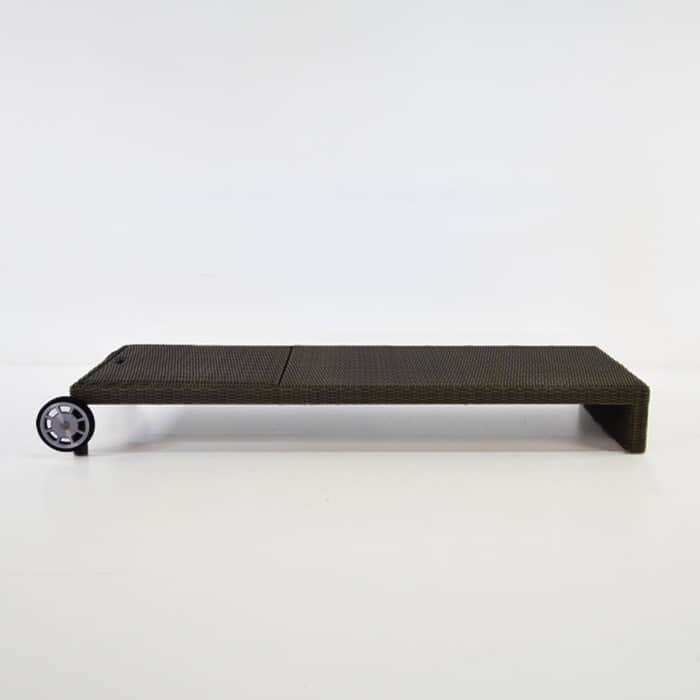 The low, flat look is achieved by weaving top quality synthetic outdoor wicker over a strong powder-coated aluminum frame and adding wheels that aid in moving this already lightweight piece. 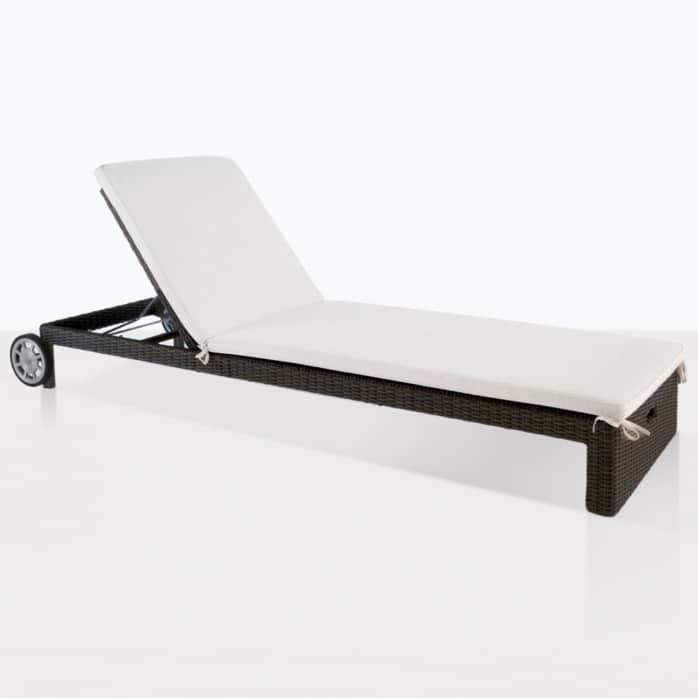 Beautiful cushions are included to top this tightly woven, durable lounger which utilizes a synthetic weave in the popular “Java” color, which is a combination of two different darker tones that give a depth of color that can’t be found in competitor pieces. 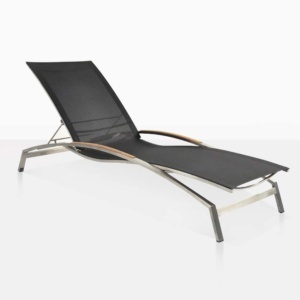 So linear and simple, but so comfortable; this outdoor wicker sun lounger is a great design, perfect for any location. This is easily movable with over-sized wheels at the head of the bed. Handle cut out at foot helps grip when moving/storing. This includes a Sunbrella cushion. We use only the highest quality synthetic outdoor wicker.